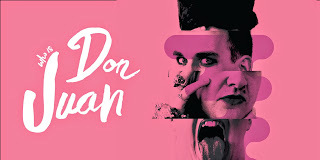 This week on drama* on the waterfront, we're two weeks into the four-week season of Don Juan, and it has received heaps of praise from audience and reviewers alike! "I had the pleasure of being in the audience for the opening night of Don Juan at Circa last weekend. It was a hoot. The trust between the five performers and the lighting/sound operator was apparent as they worked together through performance, improvisation, physical comedy, singing, and gentle, inclusive audience interaction to tell the tales, spin the yarns, and peel layers off the onion off the mystery of the man who could be described as the Chuck Norris of love. "It's a testament to the players that the show never felt rehearsed. The impression I had throughout was that the performers were riffing off each other and playing with whatever came to mind from beat to beat but that belies the huge amount of rehearsal and planning which must've take place in the run up to the show to make those moments feel spontaneous. Reviewers have been equally kind, giving their seal of approval to this hilarious show. “Controlled anarchy is the essence of the production, which is taken at a furious clip, that is part scripted, part adlibbed, and involving some well-planned and unthreatening audience participation. The comedy is verbal, physical and at times surreal. Don Juan faces a firing squad with the audience as the executioners, while later they become, with aid of tattered umbrellas, trees in a forest. 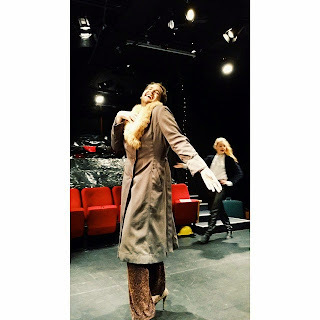 “That so much seems incidental and even spontaneous is belied by Don Juan's dialogue being spoken on mic, with enhanced tonality, by one actor while another – wearing DJ's white baseball cap and coloured scarf, and holding an amplifier / speaker – lip-syncs. All achieve this feat with a panache that belies their precision, proving this is a meticulously plotted and highly rehearsed show. So make sure you catch Don Juan over the next two weeks before it is gone forever. Tues – Sat at 7.30pm until May 23rd. Special 10pm performances on Friday 15th & Saturday 16th May.